Just blend, fill, and go! Bring your smoothie or shake wherever your day takes you. If smoothies and protein shakes are a staple in your diet, life just got a little easier. 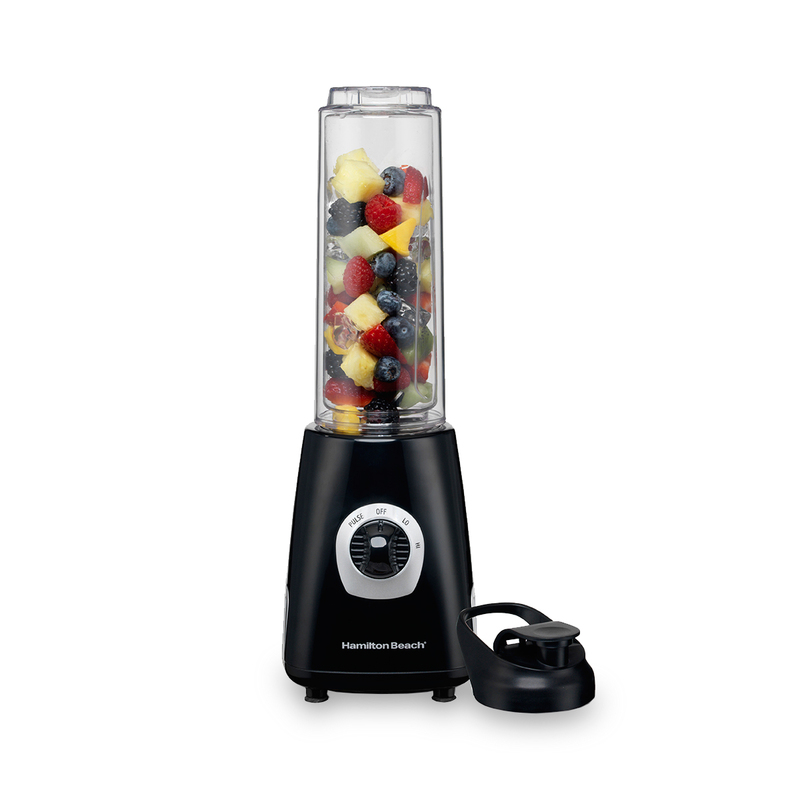 The Hamilton Beach® Go Sport™ Blender lets you blend and run. Since the blender jar is also a travel bottle, there is no need to find the right cup or spend time cleaning up the unit before leaving the house in the morning. Instead, remove the collar and blade from the jar, replace it with the flip-top lid and you’re ready to go. This blender was made with active lifestyles in mind. The large 20 oz. bottle is slender enough to fit easily into most car cup holders. It’s made with BPA-free, shatterproof Tritan™ so you can carry it in your gym bag or take it with you to the track. No need to worry about keeping it chilled; the double-wall bottle is designed to keep beverages colder longer and reduce condensation. The hardest part will be deciding between an orange mango smoothie or a cucumber melon chiller..
Once you fill up the convenient single-serving jar with your ingredients, simply attach the blade and collar, flip the bottle over and secure it onto the base of the blender. Smoothies aren’t the only thing you can make in this blender. High, low and pulse settings allow you to create fresh salad dressings, small batch salsas and more. A flip top lid fits right on the personal blending jar, making it easy to blend and run. The lid snaps closed and has a no-leak seal, making it a good choice for busy lifestyles. The 20 oz., double-wall, BPA-free Tritan™ jar helps keep drinks colder for longer. Its sleek, narrow profile fits perfectly in most car cup holders. The removable jar, stainless steel blades and no-drip lid are all dishwasher safe. 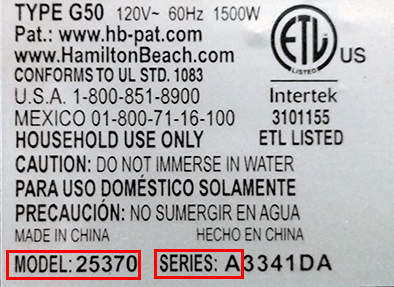 The Hamilton Beach® Go Sport™ Blender’s small footprint was optimized to occupy little counter or cabinet space.